Central line. Doctor injecting a liquid into a patient via a central line in place in the patient's internal jugular vein in the neck. A central line, also known as a central venous catheter, is used to administer drugs and fluids or take blood samples directly from a vein. 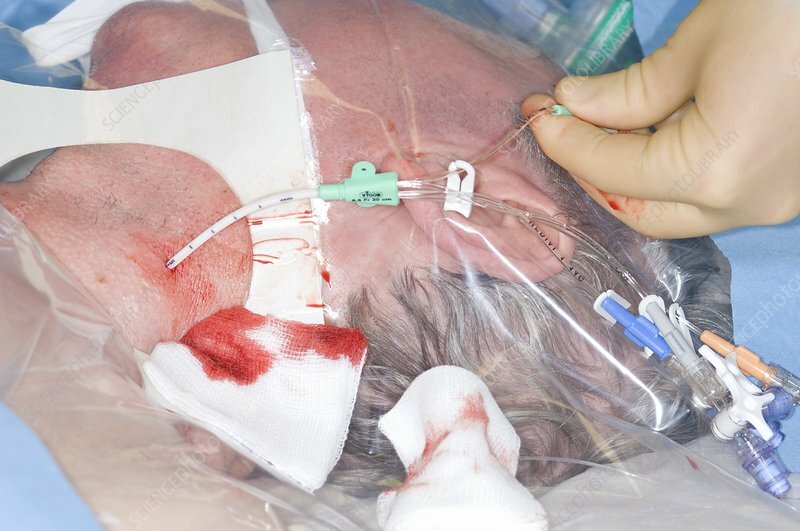 This central line has been put in for access during surgery and has multiple lumens (tubes).